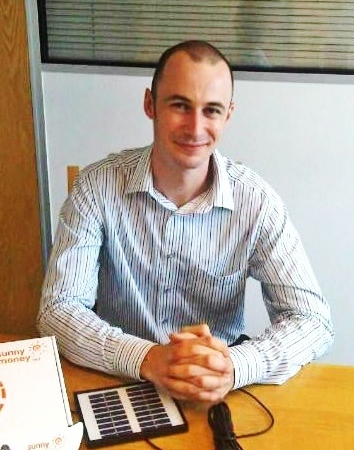 Gerrard gives an insight into his role as the Finance Director for SolarAid, a UK charity supporting communities in Africa. After considering a move to the Development sector for a long time, Gerrard decided to join SolarAid. A UK based position with some international travel, the role as Finance Director for a charity aiming to reduce climate change and poverty in Africa was perfect for Gerrard. Was it difficult to make the move from one of the Big 4 into the charity sector? I know it can be difficult to switch sectors and it definitely helped having previous experience working in Africa; after University I volunteered in a small orphanage in Tanzania for 3 months, teaching English and working on their micro finance programme. Now you have had a little time to settle, what would you say are the main differences? There are far more resources available to you in the corporate sector. I must constantly remind myself to empathise with the lack of resources in developing countries. Telephone lines are frequently down and internet isn’t always readily available. Even acquiring a bank statement can be challenging. You cannot simply go on line. Often you have to travel quite a distance to the nearest bank. There’s a charge and even then their printer maybe be broken, requiring several return trips. A common assumption about working for a charity is ‘less hours for less pay but with far greater job satisfaction’ – would you agree? No, I think you work just as hard but the rewards are greater. I have never worked somewhere where everyone is so passionate about their jobs. The team morale is extremely high which makes going to work so much more enjoyable. Many accountants find it difficult to switch sectors in this way. What advice would you give accountants who are struggling to make the move from the commercial to the charity sector? I would definitely recommend the switch, from a personal perspective I knew this was where my passion lay and I wanted to give it a shot. I figured that there are hundreds of corporate firms out there and if it doesn’t work out I can always go back. If you are considering making the switch and you don’t have relevant experience I would strongly recommend volunteering, locally or overseas. International travel is also very important. Undertaking some travel shows that you are able to cope in developing countries. Do you think your overseas partners recognise the value of good accounting? It’s clear the financial systems are not as robust to start with in Africa and there is a definitely a lack of prioritisation for accounting. Sadly with high prevalence of fraud in many organisations it does lead to accountants being undervalued. You have recently returned from visiting all your projects in Africa, how would you benefit from AfID volunteers? The guys on the ground are fantastic and work extremely hard but they don’t have the necessary financial knowledge to build the processes needed to develop our operations. They have great operational skills but they often put accounting to one side for more programmes related problems. They would certainly benefit from support it is always good to get someone else's eyes on the programme. Ultimately the guys on the ground really want to improve their skills. A few have worked for corporate firms and have seen the benefits of good financial management and therefore would really welcome support. Could you explain the idea behind your ‘Sunny Money’ micro franchise scheme? 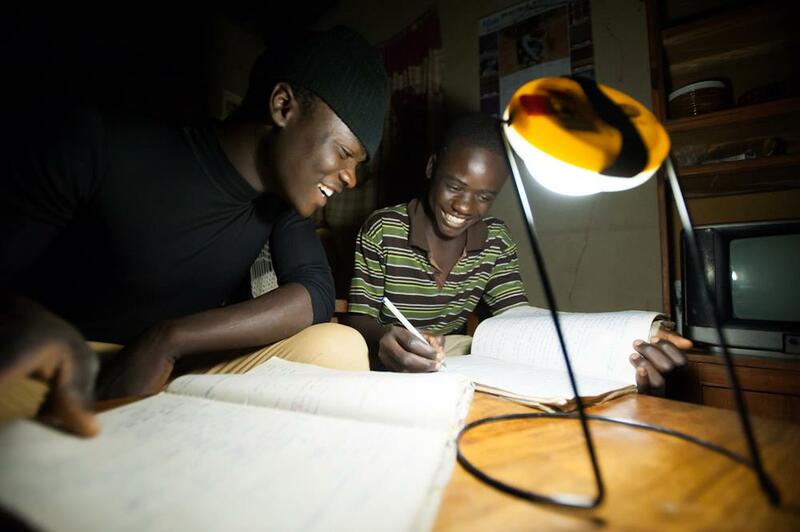 Sunny money is the name given to Solar Aid’s innovative solar products. The scheme gives small scale social entrepreneurs the means to earn an independent income, and helps eradicate the use of harmful kerosene. By offering solar micro franchises training in business, these entrepreneurs can buy equipment to build and repair small solar panels. The panels are then sold to charge batteries, phones and power light bulbs. We focus on rural areas where there is no national grid system in place. In Malawi, where only 4 % of the population is linked to the national grid, SolarAid is not just lighting up homes, but whole lives. Were you able to meet with any of SolarAid’s beneficiaries? In my first three weeks I was given the opportunity to go to Africa in order to meet the staff at our offices and the entrepreneurs who buy our solar panels. One man said that when he saw the solar energy panels for the first time his whole world changed. He felt that such a device would save his family a small fortune on kerosene for the rusty old lamps used to light his home. With SolarAid's support John has gone from raising cows to become a successful salesman, selling more than a hundred solar panels. What are the main challenges you face when working with your overseas partners? Communicating overseas is very challenging. I’ve built a really good rapport with our African staff but there is never enough face time. We use Skype which works well in some countries but is almost impossible in others. Emails can sometimes be tricky as internet connections are down frequently - Zambia and Malawi can sometimes go offline for weeks. Before I started I didn’t think that communicating overseas would be problem as during my time at PwC we called Africa quite often. Obviously they are using much more expensive lines. Do you think the corporate sector is doing enough to support the charity sector through their Corporate Social Responsibility policies? Some organisations are great, providing pro bono services and advice which can sometimes prove invaluable. But overall, corporate organisations across the world could do more. We are just coming through a very difficult financial period and sadly funding for most charities has been scaled down dramatically. Can you tell us any of SolarAid’s plans for the future? We would most certainly like to build on the successes we have been lucky enough to have over the past years. Our aim is to provide a million people with renewable energy by 2015. As SolarAid grows, we will continue to educate and influence the public and policy makers on issues related to renewable energy and climate change, and their impact on the world's poorest people.